HOUSTON, APRIL 18, 2016 – Sentai Filmworks is proud to announce its acquisition of Trinity Seven. Superbia. Invidia. Ira. Acedia. Avaritia. Gula. Luxuria. These are the sins, or "Themes," inflicted upon seven young girls who reign supreme at Royal Biblia Academy, but one boy has resolved to master those sins and reclaim his world. The boy, Arata Kasuga, has his daily life turned upside-down when a mysterious event called the Breakdown Phenomenon causes his cousin Hijiri to disappear into an alternate dimension. 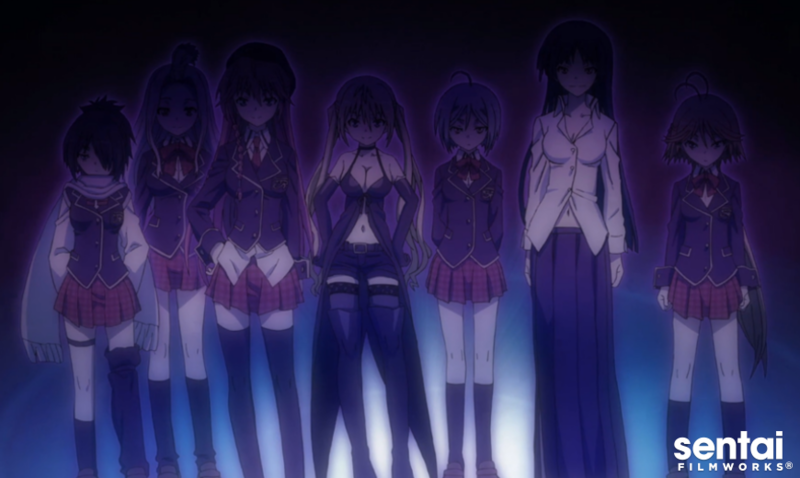 In order to understand the Breakdown Phenomenon and get his cousin back, Arata enrolls at Biblia Academy - and what awaits him there are seven young girls who use their "sins" to manipulate sorcery. The series was originally from a manga written by Kenji Saito with illustration by Akinari Nao and published by KADOKAWA Fujimishobo. It was directed by Hiroshi Nishikiori (Azumanga Daioh, I’m Gonna be an Angel!, GAD GUARD). The role of chief animation director was shared by Kyoko Kotani and Shinpei Tomooka, with series composition handled by Hiroyuki Yoshino. Animation production was courtesy of SEVEN・ARCS・PICTURES (Dog Days, Asura Cryin’, WHITE ALBUM). Trinity Seven will soon be available through select digital outlets, with a home video release to follow.